Minerals screened include electrolytes – calcium, magnesium, sodium, potassium and phosphorus and trace minerals – copper, manganese, chromium, selenium, iron, molybdenum, lithium, cobalt,and zinc. Hair is an effective method for testing heavy metal toxicity in the body because its levels do not fluctuate like they do in blood. 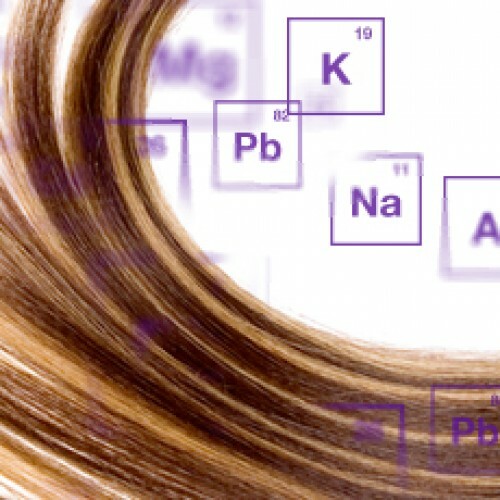 Toxic elements such as mercury, arsenic, aluminum, cadmium, and lead may be 200 – 300 times more concentrated in the hair than in blood or urine. This profile also tests for important nutrient levels such as magnesium, zinc, copper, chromium, and selenium. This test requires a 1 gram sample of hair close to the scalp obtained from a few different sections on the head. The sample can be collected in-office or at home. Elements tested: aluminum, arsenic, copper, iron, lead, mercury, nickel, chromium, lithium, magnesium, molybdenum, phosphorus, boron, selenium, zinc, potassium, cobalt, manganese. Hair is the second most metabolically active tissue in the body. The hair represents what is occurring inside the cells and the sub molecular figures of the body. The hair gives a reading of what is being stored in the body. 3. A full report with interpretation and protocol will be mailed to you within 3 weeks.